Singapore Changi Airport has announced the launch of its 16th city link to India with the introduction of a new non-stop service between Guwahati and Singapore, operated by Drukair Royal Bhutan Airlines. This new route marks the first direct connection between Northeast India and Singapore. The introduction of this new service is expected to reduce travel time for almost 10 hours, including transfers to 4 hours 30 minutes. Drukair commenced twice weekly flights from Guwahati to Singapore from September 29. The new link is expected to strengthen not only cultural and socio-political ties between the countries but also facilitate opportunities to enhance travel and trade practices. 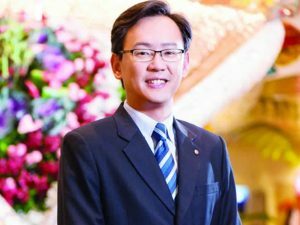 Lim Ching Kiat, Managing Director—Air Hub Development, Changi Airport Group said, “We are pleased to launch the first non-stop service between Northeast India and Singapore with our valued partner Drukair. India is the third largest tourism source market for Singapore and one of Changi Airport’s key growth markets. This new route further enhances connectivity between Singapore and India, bringing the city links to a total of 16. We look forward to welcoming more travellers from Guwahati, who can tap Changi’s extensive network to destinations in Asia such as Australia, China, Indonesia and Japan.” India is Changi’s sixth largest market, registering more than 4.5 million passenger movements in the past 12 months, growing at 14 per cent year-on-year. Last month, IndiGo launched daily services from Kolkata and Tiruchirapalli, operating the airline’s first services from the two cities to Singapore.